SymQuest’s solutions free your high-value employees from low-value tasks—so managers and IT professionals can concentrate on your business objectives. Routine document processes can be automated. Security demands can be addressed quickly. Paper and energy costs can be reduced. Your workflow can be more productive—and your team can take advantage of new opportunities for innovation, growth, and profit. The right mix of solutions for your company depends on your industry and business needs. 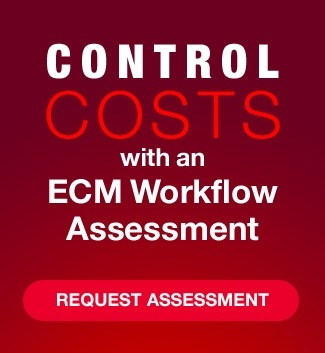 Let us evaluate your situation with our Enterprise Content Workflow Assessment. SymQuest’s ECM strategies help you capture, manage, store, and control all your business content—documents, images, emails, videos, instant messages and more. By extending your information to mobile devices—you can ensure that your business runs as productively and efficiently as possible, regardless of where your employees are working from.